With The Flash ready to air Season 3, fans are more eager than ever to have the series to return. 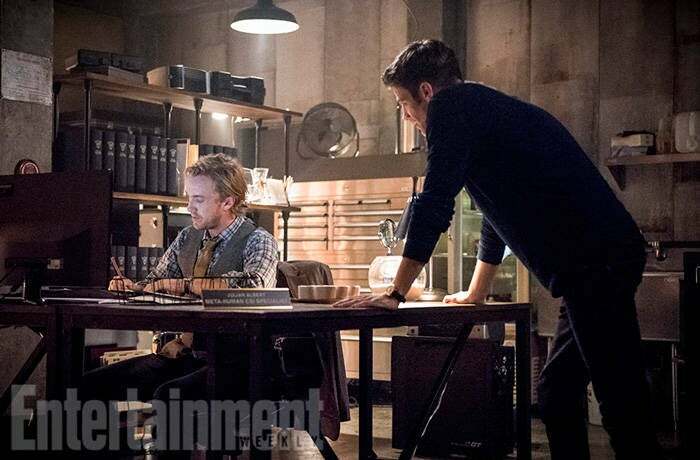 The hit series has teased fans with a steady stream of updates since The Flash went on hiatus, and none of those reveals got more attention than Tom Felton signing onto the show. Now, fans are getting their first-look at Tom on The Flash, and it’s safe to say that fans are freaking out. 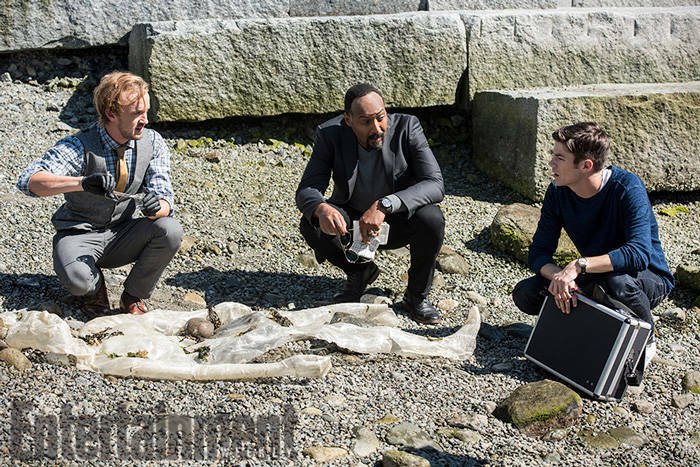 The exclusive photos come courtesy of Entertainment Weekly who spoke to both Tom Felton and Andrew Kreisberg, executive producer of The Flash. The pair kept quiet about any possible spoilers for Season 3 of The Flash and instead talked about how Tom’s past work on Harry Potter will work itself into the DCCW-verse. Looking at the first photos of Tom on The Flash, his character looks nothing like good-ole’ Draco Malfoy. The actor will be playing Julian Dorn on the show, a character who acts as a rival to Barry as a fellow CSI expert. After working together, Julian comes to suspect Barry is more than just your average guy. Given Tom’s past roles, fans are expecting the actor to be one of The Flash’s main villains in Season 3. His work as Draco Malfoy left a definite impression on moviegoers, prompting many fans to associate the actor with all things nefarious and cruel. Currently, fans are speculating that Tom may just be the man behind Doctor Alchemy. The DC Comics villain will appear on The Flash when it returns, and many think Tom’s character may be a stand in for Curtis Engstrom. The character, who becomes the second iteration of The Alchemist, was once an upstanding biochemist at S.T.A.R. Labs before his intentions turned when he got his hands on the all-powerful Philosopher’s Stone - a weapon most Harry Potter fans are familiar with. For now, fans will have to be content with waiting as the cast of The Flash is keeping quiet about the season’s baddies. All we do know is that Tom’s character definitely clashes with Barry Allen on the show, but it doesn’t appear to be in a battle of supervillain proportions. The Flash returns for Season 3 on October 4 at 8 p.m. ET/PT on The CW. Tom will not appear in the premiere episode, so fans should plan to see him a little later in the season. You can check out the first-look photos of Tom on The Flash in our gallery below!